Three Camrys crashed in two days and the attorney general is asking for answers. The attorney general is asking Toyota for answers after a man was killed when his Camry crashed through a guardrail and two other Camry drivers said they lost control over the vehicles. The three crashes happened over two days and each involved a different 2007 Toyota Camry, Attorney General Richard Blumenthal said. A 77-year-old man was killed when his car crashed through a guardrail and into a ditch in Torrington, Blumenthal said. On Wednesday, a woman said her Camry went “out of control” outside a New Britain church. On Thursday, a Camry crashed and rolled over in Middletown. 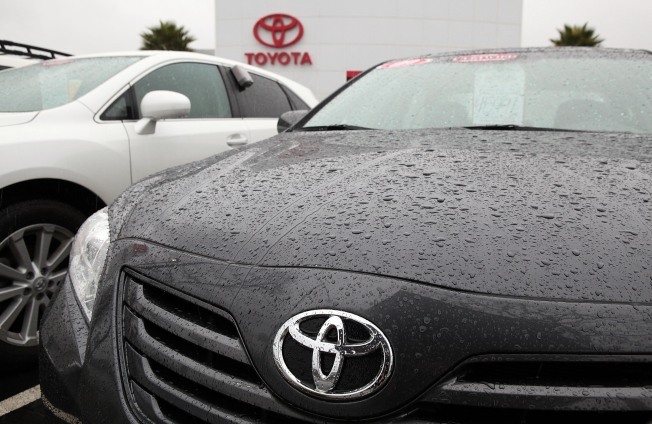 Blumenthal is asking the company whether Toyota will send experts to examine the vehicles and determine whether faulty accelerators are to blame, whether the drivers received recall notices and whether dealers found and corrected defects.